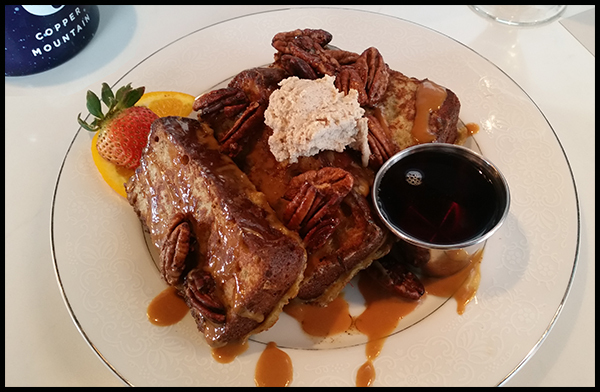 The walnut is one of the tastiest and most popular nut varieties around, so much so that you can enjoy it in a whole cavalcade of ways. You can have it in cakes, in chocolate bars, in candies, and you can even have it in your glass as a milked walnut beverage. However, did you ever stop to think about the health benefits of walnuts? Are walnuts actually good for you and your family, for something that tastes so good? You may be surprised to find out that yes, walnuts do have numerous health benefits, some of which might encourage you to consider including them in your family’s daily diet, rather than just enjoying them as occasional snack. Walnuts are rich in monounsaturated and polyunsaturated fatty acids, both of which have been found to decrease low-density lipoprotein cholesterol (aka bad cholesterol) and triglyceride levels in people who love snacking on the tasty nut variant. This is good news, as having high LDL levels can put you at a higher risk for life-threatening conditions such as cardiovascular disease, stroke, and heart attack. Lower levels of LDL, on the other hand, means your risk for these conditions go down significantly. So if you or any member of your family is concerned about their cholesterol levels, then skip the chips and snack on a handful of walnuts instead. Looking to lose a couple of pounds or just want to fit better in your clothes? Then you could do well by adding walnuts to your diet. Not only do they boost your metabolism—which means that you burn off more energy even when you’re not exercising—but they also have quite a lot of protein and fiber, which are components that promote satiety and improve bowel movements. All of these can help you lose more weight and make you feel lighter and healthier overall. 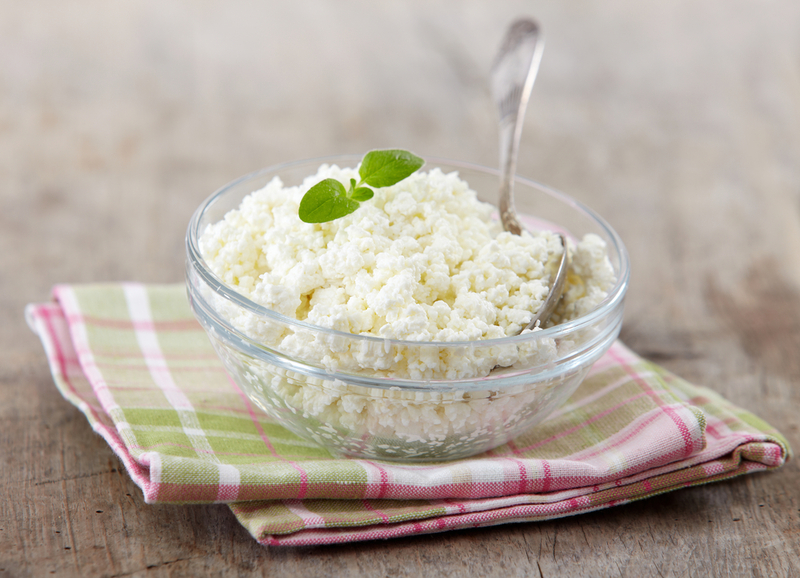 Cottage cheese is one of the healthiest and most delicious ways to get lots of calcium. It can be added to recipes for extra texture and flavor or it can be eaten on its own. There are lots of cottage cheese brands to choose from, which can make it a bit difficult sometimes to know which one to purchase. We have five great cottage cheese brands you should consider buying. For people who want a low-fat option that retains all of the flavor and texture of regular cottage cheese, this one is the one to purchase. It is lactose-free, so it is also the perfect choice for people who are lactose-intolerant. It is considered to be one of the best cottage cheese options for people watching their weight, as well, since it provides all of the nutritional value of regular cottage cheese with half the calories. It is the perfect choice for lasagna and for eating with fruits, and its light tangy taste works very well with sweet options like jam or honey. Some people even eat it alone, like yogurt! You should not have to worry about your waistline when eating cottage cheese, and this brand allows you to truly enjoy the taste without guilt. Breakstone’s is one of the most delicious brands of cottage cheese and one that you can easily find in most supermarkets. It is made with whole milk, giving it a rich, creamy texture and with a good balance of sweet and sour. Cottage cheese can provide all manner of nutritional benefits, and one that is made with whole milk, like this one, can be a good choice for added healthy fat and calcium. This brand also has uniform curds, so the texture is even and great for adding it to baked goods. 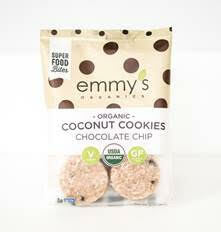 Looking for some new snacks for lunchboxes, take alongs, and movie nights? 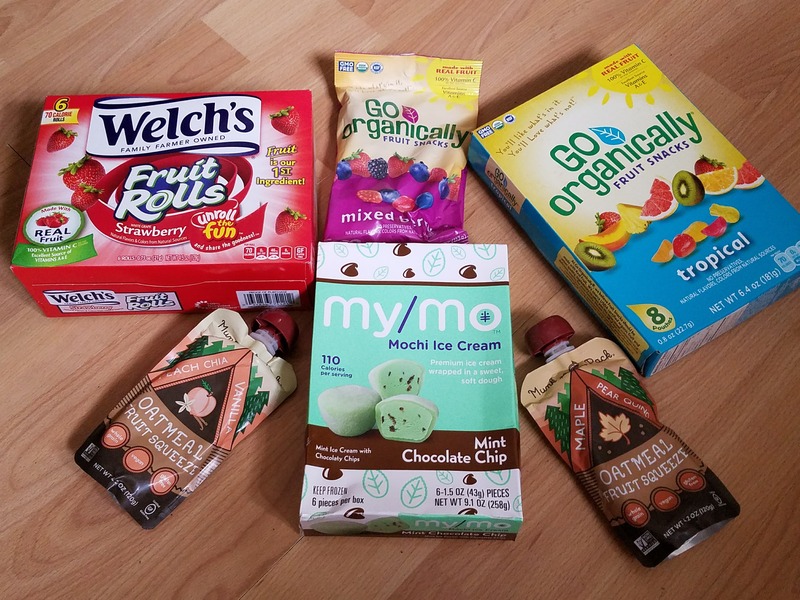 From new versions of the classic Welch’s Fruit Snacks and roll ups, to oatmeal on the go, ice cream bites and more, the below snacks are easily available for purchase at major grocery stores and perfect for switching things up and easy to take with you or snack on the couch. Looking for healthy food you and the entire family will love? 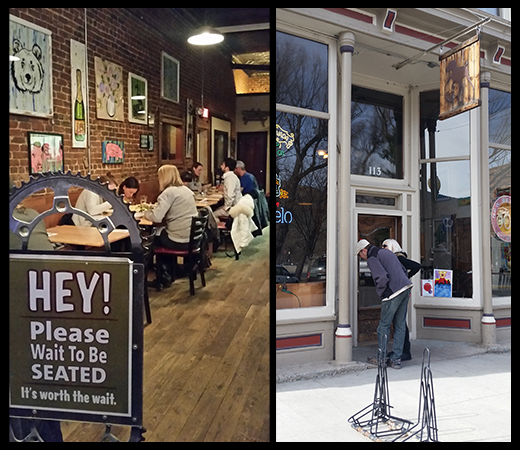 These fun finds will keep everyone happy, and taste as good as they are good for you- which isn’t easy! We have been fans of noosa yoghurt for a while now, and were excited that they have introduced both new flavors and new combination yoghurt/topping combinations, which are delightful. 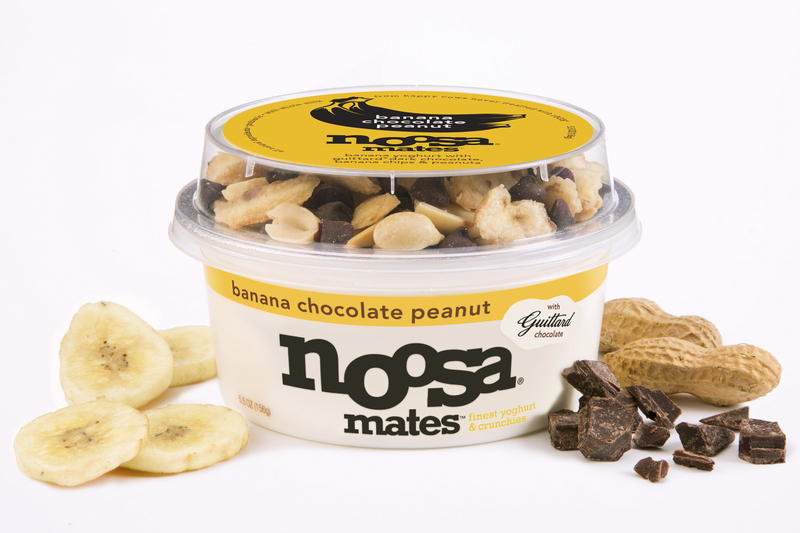 These mix-in-style yoghurts are called noosa mates, and pairs the creamy noosa whole milk yoghurt we already enjoyed so much with delicious, high-quality toppings like crunchy granolas, roasted nuts, pretzels and premium chocolate. Just pull off the top, flip the “mix in” side into the yoghurt, and stir. It’s very satisfying and satiating- not to mention it just tastes great. They have also added apple and pumpkin flavors to their growing line. Available nationwide in many groceries and super stores in single packs, four packs, and larger sized 24 0z containers, prices vary. Visit https://www.noosayoghurt.com for varieties and to find a store. With the Super Bowl right around the corner, you will need some great snacks on hand. What’s a tailgating party without chips and dips? Heluva Good! is perfect for your favorite dippables or to be used in a recipe for game day (or any day). It’s the perfect take along when you get invited to a party as well- there is never anyone who will turn town a friend who brings snacks to the festivities. Available in French Onion, Bacon Horseradish, Buttermilk Ranch, and Jalapeno Cheddar, there is a flavor everyone will enjoy. You can find fun recipes and creations to try out on their website as well- there is a potato skin concoction that looks amazing (and I’m going to try it for the big game day)- take a look and see what tickles your fancy. Visit http://heluvagood.com for info, where to buy, food ideas, and more, then head to your local supermarket to pick some up and try some for yourself.